Get your mom a great gift this season! 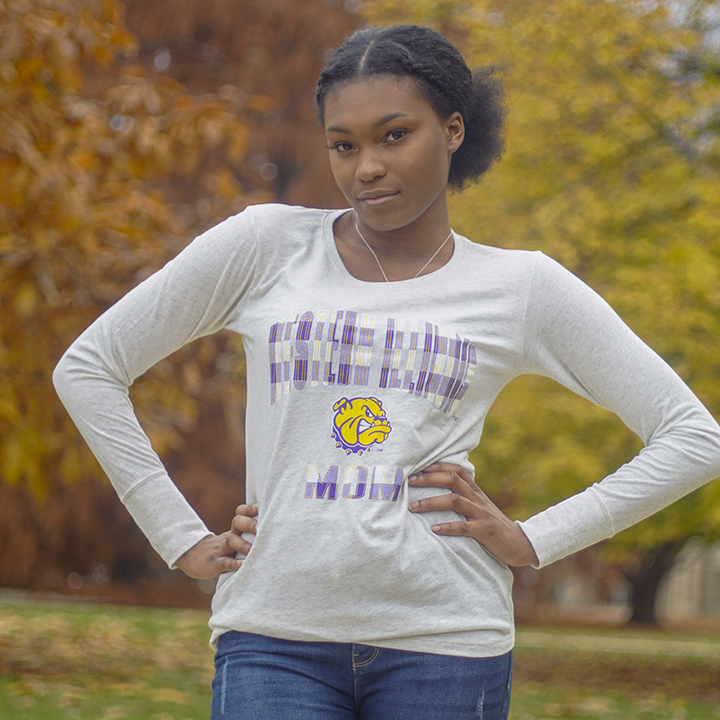 This oatmeal long sleeve tee from Blue 84 features Western Illinois in purple and gold plaid with a Rocky head in between and Mom underneath. Please select option for Mom Plaid Long Sleeve Tee.